Terry Matlen, MSW, ACSW, is a psychotherapist, author, consultant, and coach, who specializes in adult ADHD with a special interest in women with ADHD. Matlen is the author of the award-winningThe Queen of Distraction and Survival Tips for Women with AD/HD. 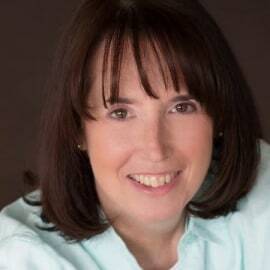 She is the founder/president of www.ADDconsults.com, an online resource serving adults worldwide with ADHD, and also runs www.QueensOfDistraction, an online coaching program for women with ADHD. She is the cofounder of the ADHD Women’s Palooza. A nationally recognized expert and speaker on ADHD, Matlen served for many years on the board of directors of ADDA, and is immediate past coordinator of the East Oakland County CHADD chapter in Michigan. She has been interviewed and quoted widely in such media as NPR, the Wall Street Journal, Time magazine, US News and World Report, Newsday, and more. Visit her website, www.ADDconsults.com; find her on Facebook at www.Facebook.com/ADDconsults and on Twitter @TerryMatlen; or reach her via email at terry@ADDconsults.com.